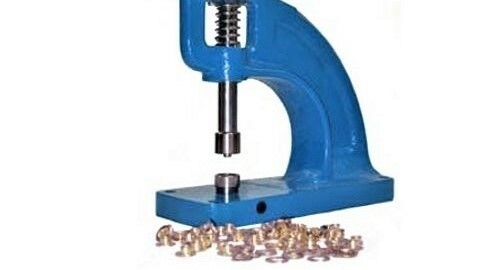 CFS Binding Supplies offers a wide variety of grommets and grommet press machines made of quality components, so your office or print shop can perform grommeting with ease. 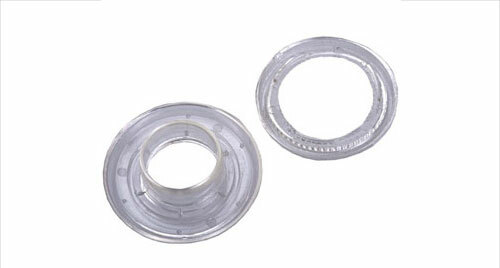 Grommet machines are also well-suited to at-home craft projects. 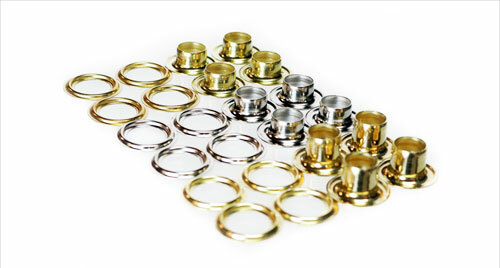 Our selection also includes a wide range of grommets, dies, die adapters, pliers, alignment tools, brass eyelets, and so much more. When you spend $50 or more, you can also qualify for free shipping to any address within the continental U.S. Explore our selection today to find the perfect solution to meet production needs. Grommet press machines play an important role in the signage industry, but they are also convenient for businesses that produce grommeted fabrics, tarps, upholstery, military textile, leather, vinyl, corrugated plastic, and much more. Hand press machines are perfect for low-volume grommeting in small offices and print shops. 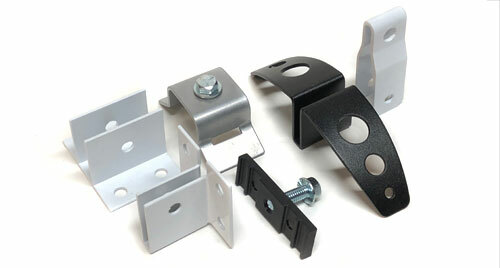 These affordable press models feature unique handle shapes to reduce the force needed and operator fatigue. If you need to switch between sizes, die change-over is fast and simple.